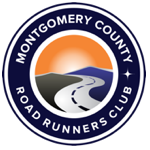 Purpose: To recognize one MCRRC club member for outstanding coaching performance. Qualifications: A member of MCRRC and has not previously won this award. Any club member can nominate another club member for this award. Self-nominations are also welcome. To nominate a coach, you can send an email to angie.bosse213@gmail.com. Please include as much specific information as you have on how the coach meets the award criteria. Nominations are due by December 10th each year. The MCRRC Awards Committee will vote at a meeting. In the event of a tie vote, the Awards Committee Chairman will determine the winner. One MCRRC COY will be awarded a plaque and recognized at the MCRRC Annual Awards Brunch in March.